 McMaster’s Biointerfaces Institute is officially open for research and discovery. The 10,000 square foot facility will see researchers and industry partners exploring surfaces to create the next generation of medical devices and diagnostic kits, maybe even hospital doorknobs that can repel bacteria. The $22-million project was funded by the Canada Foundation for Innovation and Ontario’s Ministry of Research and Innovation, with support from industry partners and McMaster University. The Faculty of Science congratulates Paul Ayers, Chemistry & Chemical Biology, on winning an NSERC E. W. R. Steacie Memorial Fellowship. These Fellowships are awarded to enhance the career development of outstanding and highly promising university faculty who are earning a strong international reputation for original research. Paul received his award from the Governor-General at a ceremony in Ottawa. Awarded by the Canada Council for the Arts, the Killam Research Fellowship is intended to support advanced education and research in Canada. Only six are awarded each year. Congratulations Catherine. Congratulations to Bruce Gaulin, Physics & Astronomy, who is leading the research team behind the development of Canada’s first Small Angle Neutron Scattering (SANS) instrument. Awarded $3-million by the Canada Foundation for Innovation (CFI), the project will create a beam line using neutrons from McMaster’s Nuclear Reactor to test and understand nanostructure in materials ranging from biological membranes to superconductors.